The Kingdom of Bohemia is a historical territory. It lies in the west of the Czech Republic and makes up the western two thirds of the country. 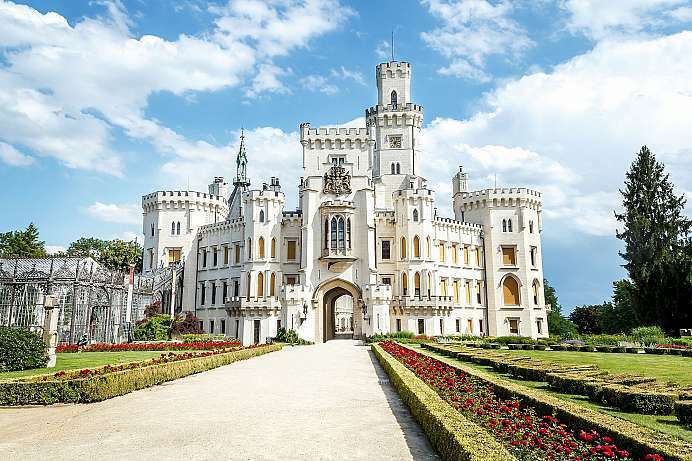 Together with Moravia and Austria-Silesia it belonged to the Bohemian Crown. 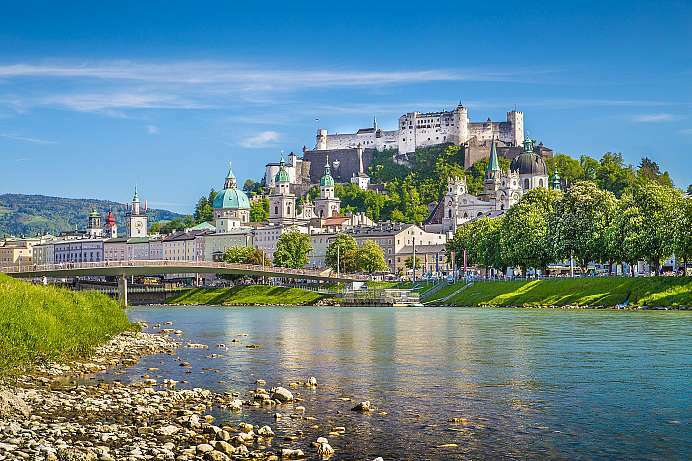 Bohemia belonged to Austria (Habsburg) since 1526 and from 1867 to 1918 to the double monarchy Austria-Hungary. From 1919 to 1938 Bohemia was part of the newly established multi-ethnic state of Czechoslovakia (CSR). From 1938 to 1945 it belonged to the German Reich (Germany). From 1945 to 1992 Bohemia was part of the resurrected Czechoslovakia (CSR or CSSR or CSFR) and has belonged to the Czech Republic since 1993. 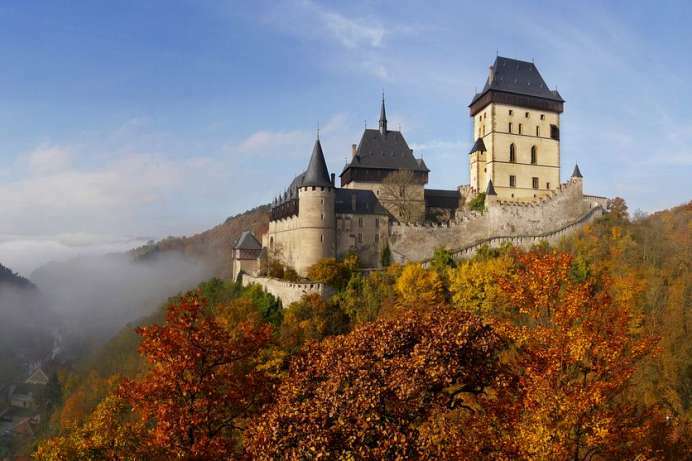 This stronghold 30 km southwest of Prague built by Emperor Charles IV was home to the imperial regalia of the Holy Roman Empire during the High Middle Ages. The individual parts of the castle are located at different heights, which expound their importance. Landmark of the castle is the Great Tower, its floor plan measures 25 and 17 meters. The wall is four meters thick, with the northern side measuring seven meters. The main building is the Chapel of the Holy Cross, the Gothic ceiling of which originates from Master Theodoric, the court painter of Charles IV. The paintings depict the “celestial army”. The little village 20 kilometers west of Prague was destroyed by the Nazis in 1942 – as revenge for the assassination of the high-ranking German Nazi official Heydrich. On the night of 9 June the 172 men of the village were rounded up and shot the next day. Then the village was set on fire. Today there is a Memorial out of bronze by the sculptor Marie Uchytilová. 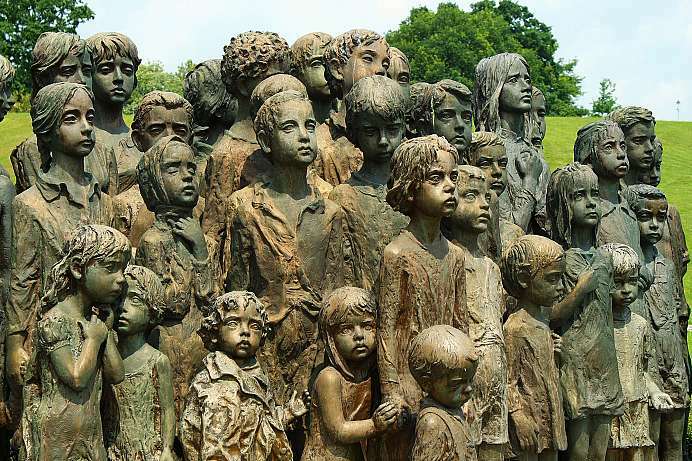 It depicts a group of 82 persons in remembrance of the children from Lidice who were killed after their deportation. But it is also a monument in memory for all children who are victims of war. The existing rose garden was stocked with 23,000 rose bushes. The fourth largest city of the Czech Republic is known for two things: for Pilsner beer and Skoda cars. Pils can be enjoyed all over the world, but there is no better place to taste an original Pilser than in Pilsen itself. Also, in other regards, the town has a lot to offer. There is a university and a cathedral, and several theaters, the oldest of which was built by German citizens in 1869. Marionette and puppet shows have a long tradition in Pilsen. The synagogue west of the city is one of the largest in the world. In summer, many concerts take place inside. The city on the Vltava, also known as the city of 100 towers or the Golden City, is considered one of the most beautiful capitals of Europe. Since 1992 the entire historical old town has been declared a World Heritage Site. The region has been densely populated since prehistoric times. In the 6th century the Slavs settled there first. German and Jewish merchants made the city one of the main trading centers of Central Europe in the 10th century. 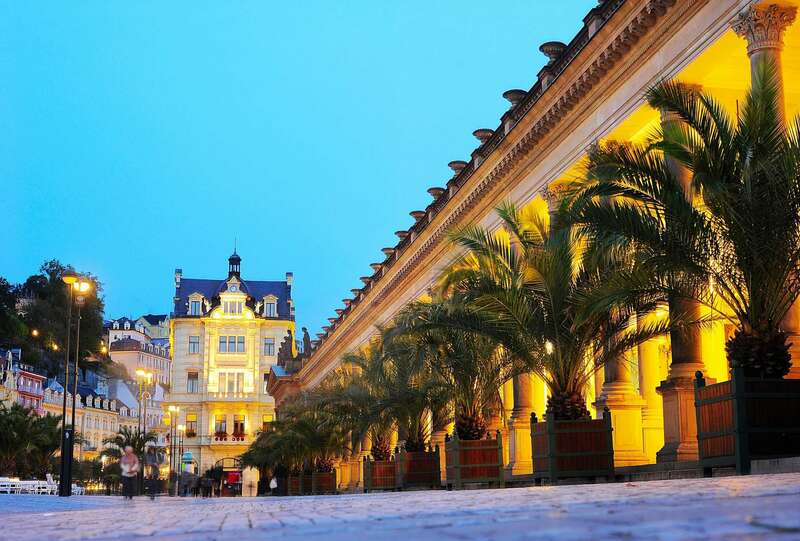 The real heyday of Prague began in the 14th century with Charles IV. who became King of Bohemia in 1346. 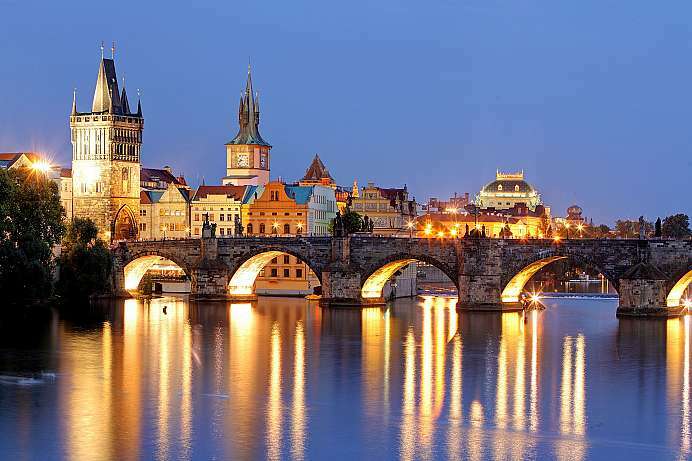 The Charles Bridge and Charles University, which is the oldest university north of the Alps, bear his name. 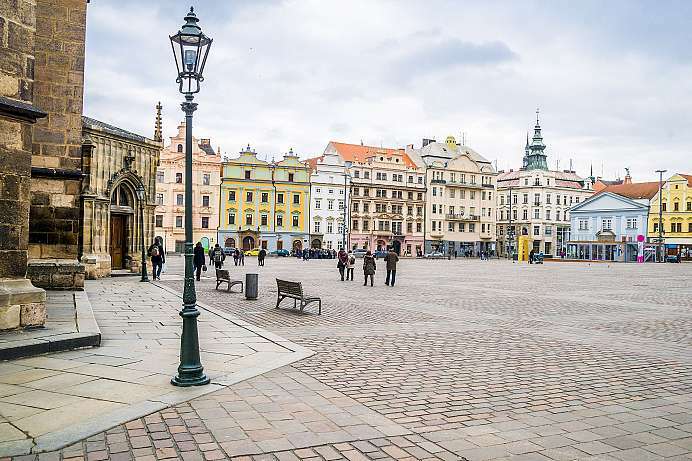 Until World War II the city was inhabited by Czechs, Germans and Jews. 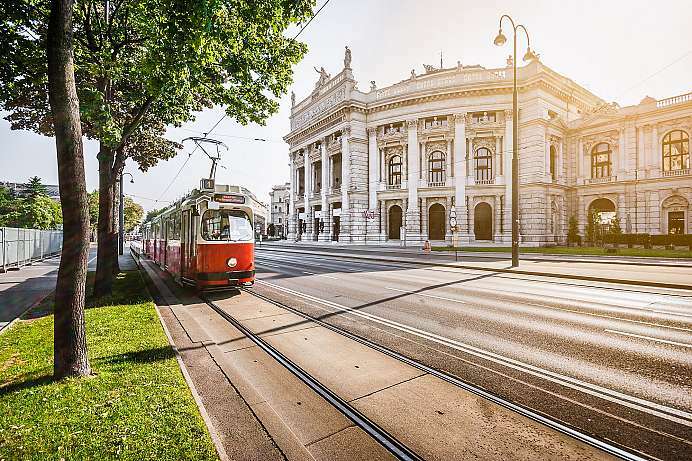 Especially for the German culture the city has contributed substantially, as evidenced in names such as Albert Einstein, Franz Kaffka or Rainer Maria Rilke.